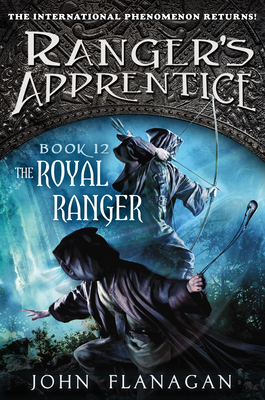 From #1 New York Times bestselling author John Flanagan comes the story that brings the Ranger's Apprentice series full-circle and ushers in a brand new arc starring Maddie, the Royal Ranger! Will Treaty has come a long way from the small boy with dreams of knighthood. Life had other plans for him, and as an apprentice Ranger under Halt, he grew into a legend—the finest Ranger the kingdom has ever known. Yet Will is facing a tragic battle that has left him grim and alone. To add to his problems, the time has come to take on an apprentice of his own, and it’s the last person he ever would have expected: Princess Madelyn, the daughter of Princess Cassandra. Will has to win the trust and respect of his difficult new companion—a task that at times seems almost impossible. John Flanagan returns to conclude the series that has conquered millions of readers worldwide with this pulse-pounding adventure that brings one era to a close, ushers in the next, starting the series anew starring Maddie, the Royal Ranger. John Flanagan grew up in Sydney, Australia, hoping to be a writer. John began writing Ranger’s Apprentice for his son, Michael, ten years ago, and is still hard at work on the series and its spinoff, Brotherband Chronicles. He currently lives in the suburb of Manly, Australia, with his wife. In addition to their son, they have two grown daughters and four grandsons.